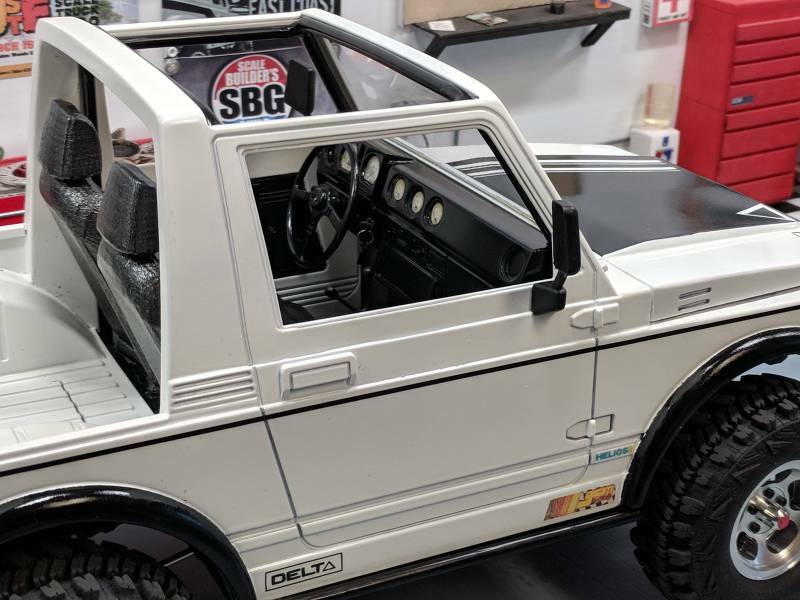 We're almost ready to launch DELTΔ Chassis at GCM, and we're going to use this exclusive SBG thread to field any questions and dump pics and videos as we go. Our first completed build was the JS scale Samurai which is a full styrene body made by Alman Body Works. It's amazing. This is the largest tiny truck we've ever done and our smallest wheelbase to date. This thing is only 9.8 in, 252 mm in wheelbase. The scale is something like 1:81. Watch for a full driving video in a couple of days. The second full build is a boring two-door Jeep, which nobody needs new pictures of. I will also put out a video for that next week. It's amazing, but it can wait. This is the 10.7 inch wheelbase, or 272mm. Our third full build is this Marlin body. Of course the wheelbase is 11.3 in, and 287 mm. Expect a video on this next week also. Looks very cool, SMART design, no surprise. Will you guys be turning out another video so we can see the details, very low video quality. Cool! Will you sell the kit with the 252 mm links as well? I'm wanting that short wheelbase. Yeah! Thanks, sir. We have 1 of each of the wheelbases to start. 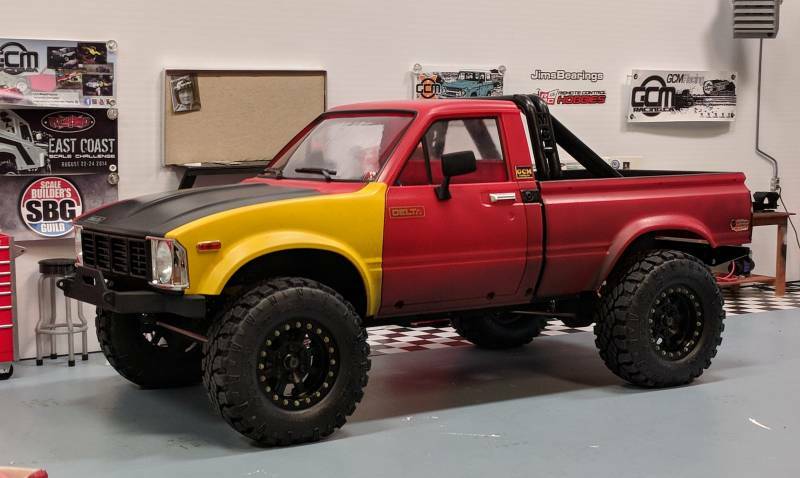 Other people will make nicer trucks! Hey! Thanks for the comment, we will have the 252 kit bits available, yes. It includes new rear shock towers and the shorter links. The rear leaf spring kit will also come out in January, although it won't fit on the 252 wheelbase setup.